BoostPRIME™ is a unique PET packaging solution, offering a great alternative for hot- filled beverages in PET bottles. It expands the opportunities for product premiumisation and revenue generation with no compromise on packaging performance and consumer experience. This patented solution is addressing the single serve market of JNSDIT (juice, nectar, soft drink, isotonics, tea) filled in PET bottles of up to 1.2L at a temperature of 85-88°C. The BoostPRIME packaging solution significantly reduces consumption of PET resin: it can decrease the current heat resistant (HR) bottle weight by up to 30% compared to regular HR PET bottles. It also allows producers to save on label material by enabling to switch from a sleeve to a roll-fed label application. All the process parameters – air blowing pressure, air cooling – are optimised at maximum mechanical speed. When investing in the BoostPRIME solution for a new hot-fill PET line to produce a 1L hot-filled bottle, beverage producers can very quickly reach a one-year payback when considering the additional investment versus a traditional line configuration. 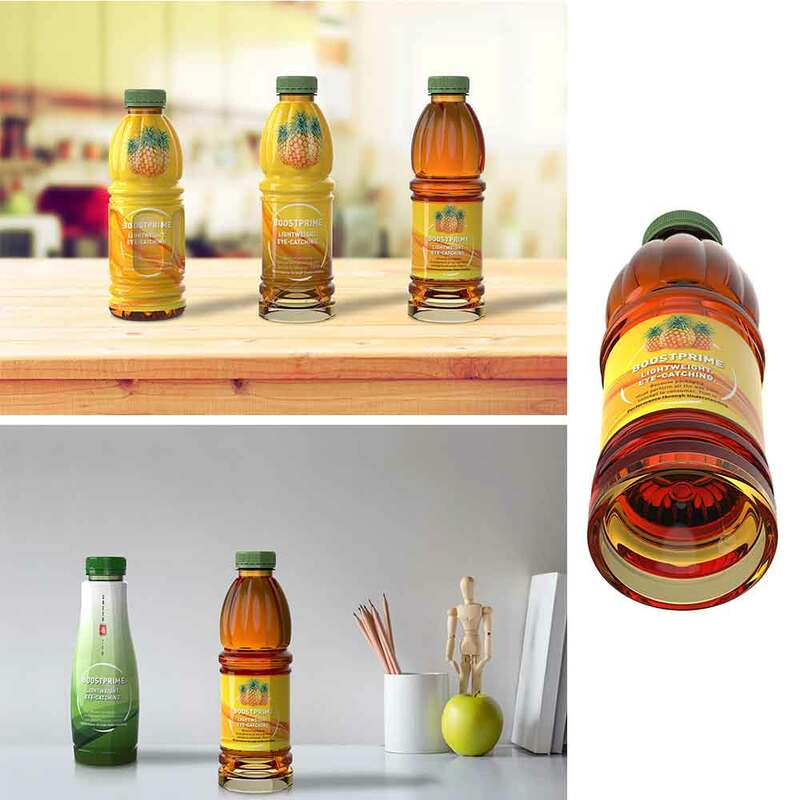 1 By shifting from regular HR bottles with vacuum panels decorated with sleeve labels to lightweighted BoostPRIME bottles decorated with roll-fed labels, the bottle lightweighting potential is estimated to be between three and seven grams, complemented with a ten time reduction in label costs. The Sidel BoostPRIME packaging solution has been validated with a key customer in Mexico, where the industrial production has successfully started early this year. With nearly 50 SKUs in production, this beverage producer already achieved tremendous bottle weight savings up to 32%. 2 Those hot-filled drinks including juice, tea and isotonics are produced by using a variety of production configurations: off-line and in-line production, existing and new Sidel blowing and filling equipment, stand-alone Sidel blower and Sidel integrated blow-fill-cap Combi, SBO Universal and SBO Sidel Matrix™ blower ranges, contact filling and flow meter filling, applying roll-fed and sleeve labels. All the lines configured for BoostPRIME can also produce standard heat-resistant bottles with or without panels, which increases the versatility of this packaging solution.